We do assess the entire individual for all areas of cognitive functioning (of which attention is only one domain), behavioral functioning (of which impulsivity is but one domain), emotional functioning, family functioning, and, as necessary, academic achievement. 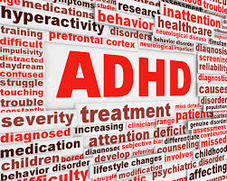 It is important to be aware that ADHD affects not only children but also adults. Attention and distractibility are only parts of the overall cognitive (thinking) system which also includes memory, reasoning, language skills, visual-spatial skills, visual-motor abilities, and sensory abilities. Emotional issues which can mimic ADHD symptoms include anxiety, depression, family tension, bipolar disorder. In addition, other disorders must be addressed and assessed such as the possibility of: autism spectrum disorder, developmental disorders, etc. Academic areas which may likewise cause an individual to look like they have ADHD include dyslexia, math dysfunction, and test anxiety. We do not administer an “ADHD Test Battery” but rather a full, comprehensive neuropsychological evaluation to address ALL of these areas. With ADHD, there are very often co-morbid (additional) symptoms or issues such as: learning disabilities, oppositional behavior, anxiety, poor self-esteem, poor social skills, etc. that may be exacerbating the individual’s difficulties. These co-morbid conditions must be addressed aside from simply the attentional processing dysfunction.